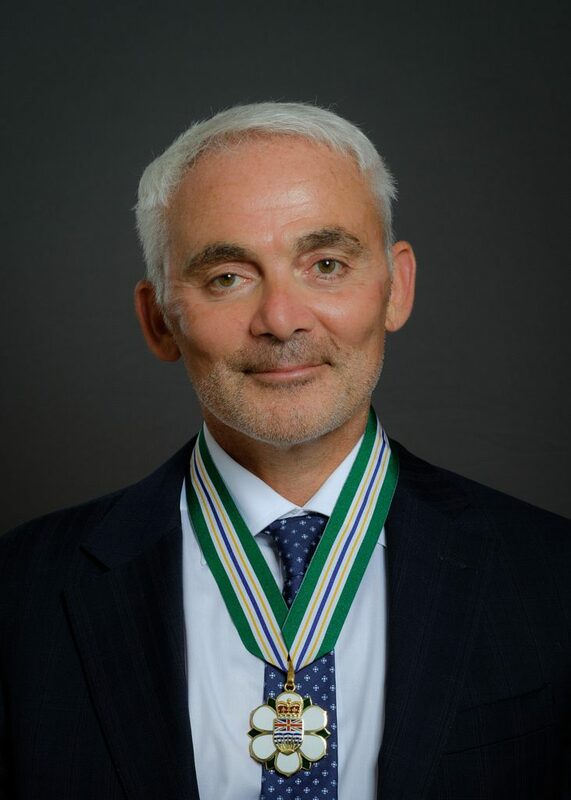 Frank Giustra, a leading Canadian entrepreneur in both the natural resource and filmmaking sectors, is also an outstanding philanthropist who makes an impact around the globe. Frank began his working life in the investment industry. He became Chair and CEO of Yorkton Securities in the 1990s, leading it to become an internationally renowned natural resources investment bank. He also founded Lionsgate Entertainment, now one of the world’s largest independent film companies. In 1997, Frank established the Radcliffe Foundation, which supports a wide variety of local and international causes. He has actively responded to the global refugee crisis by providing humanitarian aid and supplies to refugee camps in Greece and Turkey, and has visited the crisis region – including Lebanon and Jordan — a number of times over the last year. Closer to home, Frank was instrumental in the creation of StreetoHome, a public private partnership formed to address homelessness in the city, and is actively involved as a mentor to the Boy’s Club Network. Most recently, the Radcliffe Foundation donated $100,000 to support wild-fire evacuees from Fort McMurray. Frank is an active executive member of the International Crisis Group working on analysis and advice to policymakers for prevention and resolution of deadly conflict. He and former US president Bill Clinton launched the Clinton Giustra Enterprise Partnership which invests in parts of the world where poverty is widespread. Frank is the recipient of many awards including the 2014 Dalai Lama Humanitarian Award.